The Secret Life of Pets is the #1 movie in America generating $103.2 million from 4,370 theaters at the North American box office. David Kaye has been the trailer voice for the promotions for the movie. The movie is the No. 6 opening ever for any animated film. We think part of the success comes from David’s voiceover moxie. 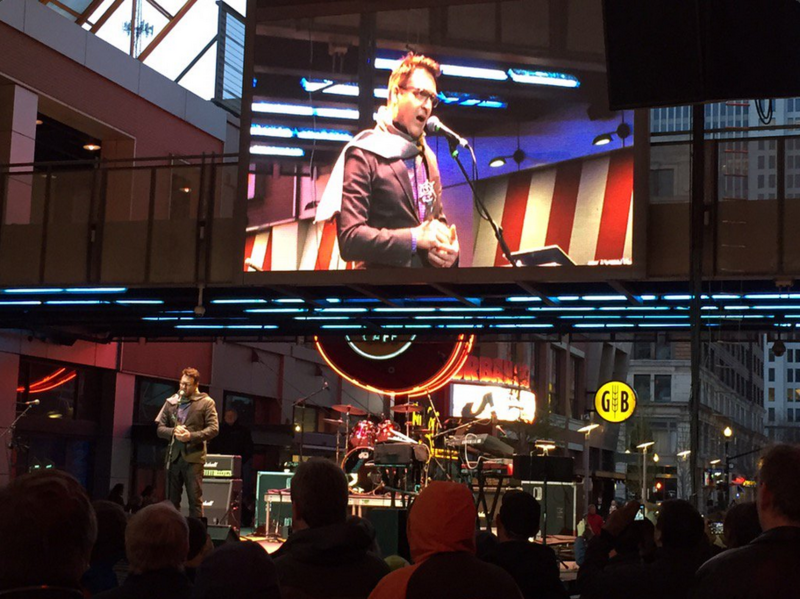 Hear David on the latest promotional release. The Secret Life of Pets Opens Today! David Kaye has been the trailer voice for the promotions for The Secret Life of Pets which opens July 8th, 2016. It’s a comedy about the lives our pets lead after we leave for work or school each day. The film stars Louis C.K., Eric Stonestreet, Kevin Hart, Steve Coogan, Ellie Kemper, Bobby Moynihan, Lake Bell, Hannibal Buress and Albert Brooks. David Kaye voices the promotion for Kung Fu Panda 2 on the FX network. David Kaye is a special guest this year at TFExpo 2016. The annual fan-created convention celebrating “Transformers” runs August 5th and 6th in Wichita, Kansas. David Kaye is the trailer voice behind the Secret Life Of Pets theatrical campaign. The movie, opening July 8th, is about the lives our pets lead when people aren’t around. The promos are showing on network television and can be seen on YouTube. David Kaye voices a hilarious segment on Last Week Tonight with John Oliver. John Oliver attacks the bunk passed off as real science. How can a glass of wine be as good for you as an hour at the gym? Here’s a movie clip from the Ratchet & Clank movie showing the birth of Clank. Clank, as you know, is voiced by David Kaye. During his busy days being a movie star with “Ratchet and Clank,” David Kaye narrated a new promotional trailer for Train. The San Francisco based band is touring this summer. “Ratchet and Clank” Opens Tonight! Be sure and head out to the theater to see “Ratchet and Clank.” Our own David Kaye stars as Clank along side James Arnold Taylor as Ratchet. Here’s David and James doing a media day for the movie. “Ratchet and Clank” In Theaters This Friday! 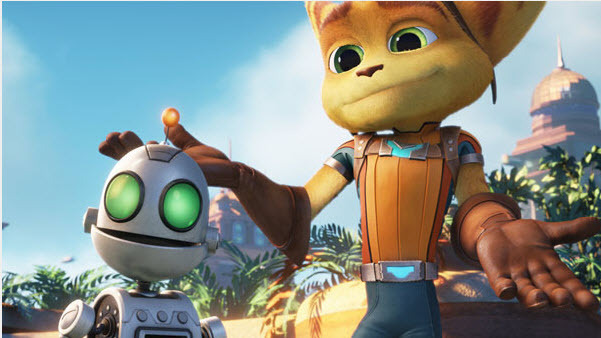 “Ratchet and Clank” is in theaters this Friday, April 29th, 2016! Starring our own David Kaye as Clank it promises to be a fun and entertaining experience. 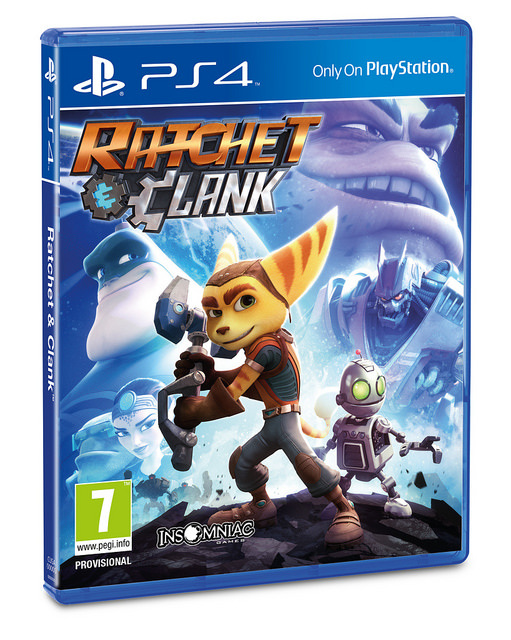 Based on the PlayStation video game franchise, Ratchet and Clank tells a story about two unlikely heroes who join forces to stop a vile alien named Chairman Drek from destroying every planet in the Solana Galaxy. Ratchet is the last of his kind, a foolhardy ‘lombax’ who has grown up alone on a backwater planet with no family of his own. Clank is a pint-sized robot with more brains than brawn. When the two stumble upon a dangerous weapon capable of destroying entire planets, they must join forces with a team of colorful heroes called The Galactic Rangers in order to save the galaxy. Along the way, they will learn about heroism, friendship, and the importance of discovering one’s own identity. “Ratchet and Clank” the video game is set to launch at midnight on the East coast on April 12th. “Ratchet & Clank” is a platformer-shooter video game that’s receiving very positive reviews with critics. Click on this Amazon.com link to order. David Kaye is the voice of Clank in the upcoming “Ratchet and Clank” movie in theaters April 29th. 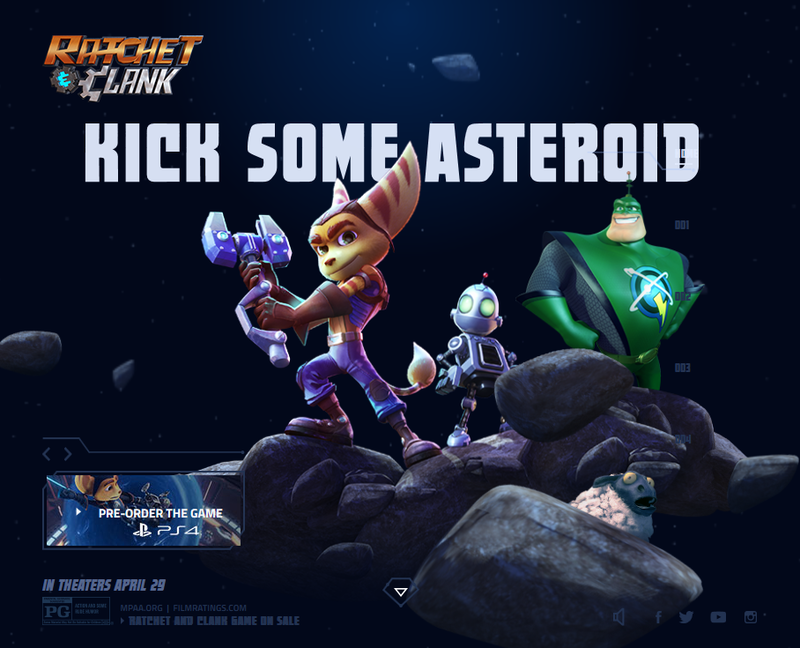 Visit the Ratchet and Clank Movie website. The third movie trailer for “Secret Life of Pets” debuted on @LateNightSeth. David Kaye narrates the movie trailer. The movie lands in theaters July 8th. David Kaye was inducted into the Transformers Hall of Fame on April 8, 2016 at the Botcon convention in Louisville, Kentucky. Actor Judd Nelson was also inducted in Louisville. Hasbro started the Transformers Hall of Fame in 2010 to honor important Transformer characters and creators. Other inductees include Steven Spielberg and Michael Bay. David has been a part of the Transformers family for twenty years. He was cast as Megatron in 1996, in the series Beast Wars. David was the “Decepticon” Megatron from the Armada series. He played Optimus Prime for Cartoon Network’s “Transformers: Animated” and became the only actor in the history of the franchise to play the lead villain and the lead hero. Congratulations on your induction David! 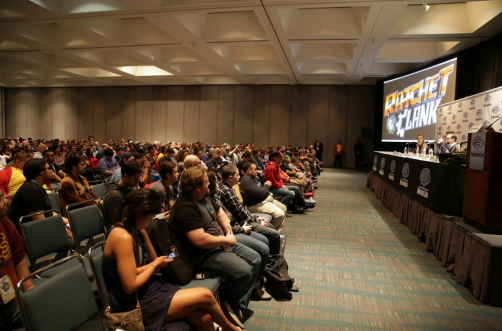 David Kaye was a guest panelist at the Wondercon convention for the new Ratchet and Clank movie. 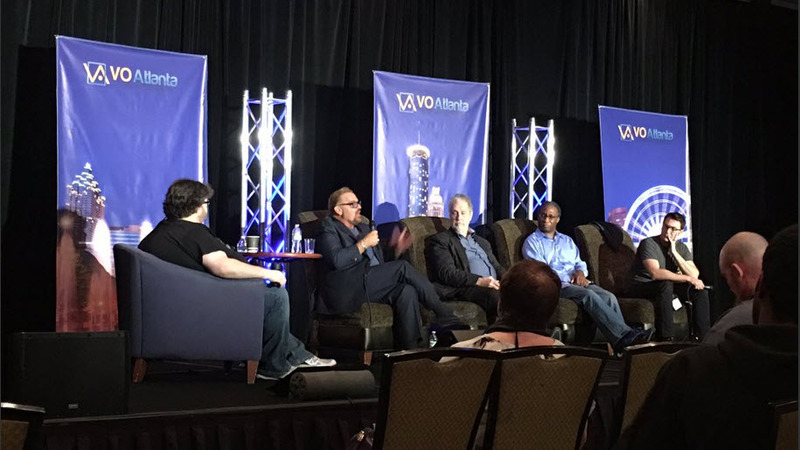 The panel featured director Kevin Munroe, James Arnold Taylor, Bella Thorne, David Kaye and producer Brad Foxhoven. The panel was moderated by Tiffany Smith. David Kaye was a recent guest on the Dave Hines Show on IHeartRadio. His segment starts around the 2:20 mark. David Kaye narrates the latest Dodge commercial built around the new movie Batman v superman: Dawn of Justice. Botcon 2016 will be in Louisville, Kentucky from April 7 thru April 10. David Kaye is a special guest for the Beast Wars 20th Anniversary Panel on April 8th. David Kaye will be part of a guest panel at the Wondercon convention for the new Ratchet and Clank movie. Ratchet and Clan the movie hits theaters April 29, 2016. David stars in the movie as the voice of Clank. The panel also features director Kevin Munroe, Bella Thorne (voice of Cora), James Arnold Taylor (voice of Ratchet) and producer Brad Foxhoven. The panel is moderated by Tiffany Smith. David Kaye narrates the short film Shooting an Elephant based on the short story by George Orwell. 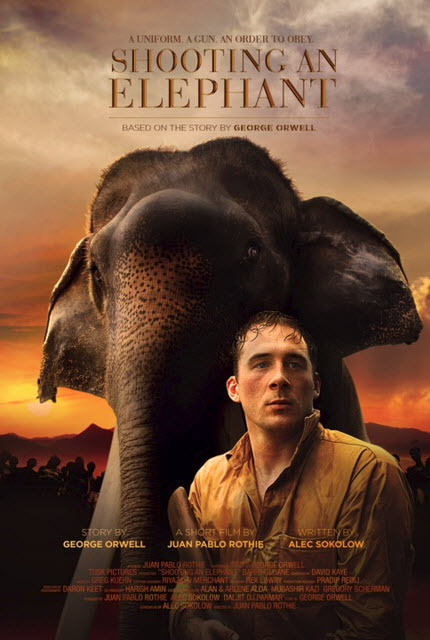 “a young British imperial policeman in Burma is given the no-win mission of handling a rogue work elephant, only to find that the role he is destined to play is that of public executioner.” The film will be shown at the Tribeca Film Festival in April, 2016. 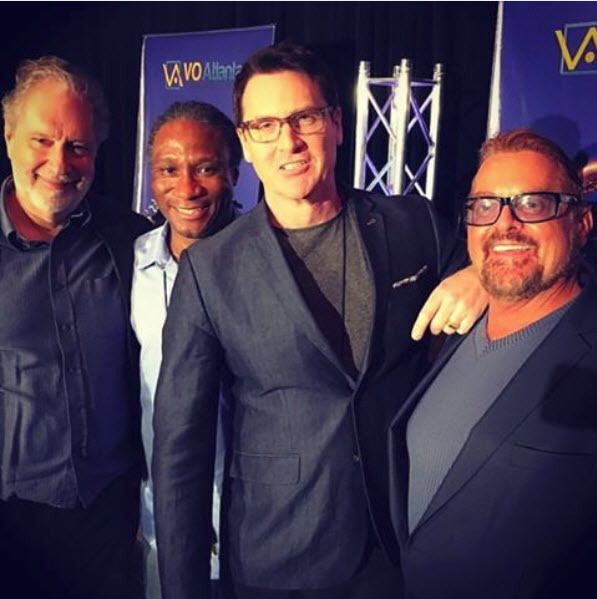 David Kaye was a featured speaker at VO Atlanta on Saturday, March 5, 2016. He was on the animation panel that also featured Bill Ratner, Everett Arthur Oliver and Marc Graue. David Kaye puts his voice talents to work on the “Regular Show” on the Cartoon Network. Below is a clip of the episode “Guys Night” from Season 4. David plays the muscle bound guy with the motorcycle tattoo on his chest. Most episodes of “Regular Show” last about 11 minutes and episodes are strung together to create a half-hour show. The show is in its seventh season and has been nominated for several awards including two Annie Awards and four Primetime Emmy Awards. David Kaye narrated a series of promotional spots for the FX feature “American Crime Story: The People vs OJ Simpson.” Watch the promo below. The People v. O.J. Simpson: American Crime Story on Tuesday night premiered to 5.1 million total viewers and a 2.0 demo rating, marking FX’s highest-rated drama debut since The Shield. David Kaye did the voice over work for the promotional spots on FX for the show. 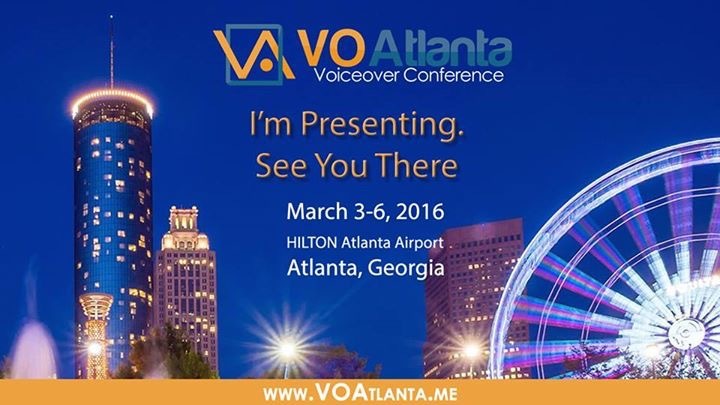 David Kaye is a presenter at the voice over conference VO Atlanta in March. With the passing of David Bowie, LG104.3 in Vancouver, British Columbia is playing the hits of some of the greatest pop stars of all time. Remember the Greats starts this weekend on LG104.3. David Kaye is the voice of LG104.3. Listen to him narrate the promotion for Remember the Greats by clicking below. David Kaye continued his voice over work for Fox Sports 1. He narrated a spot promoting the UFC 195 Preliminaries. 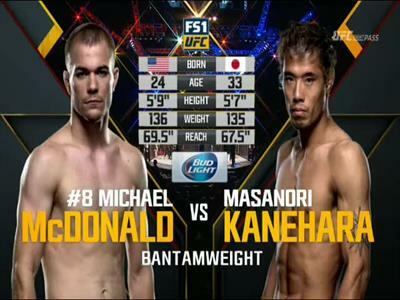 The spot focused on Michael McDonald vs Masonari Kanehara. David Kaye narrates two new television commercials for Dodge. The first is a Dodge brothers commercial. The second is the Dodge wolf pack. It’s a big deal doing voice over work for a major car brand. Congratulations David! David Kaye is a voice-over specialist for KGTV Channel 10 in San Diego. He recently voiced a spot for The Now San Diego which airs on Channel 10 at 4:00 pm. Founded in 1953, KGTV is a leader in local news with nearly 40 hours a week of locally produced newscasts. 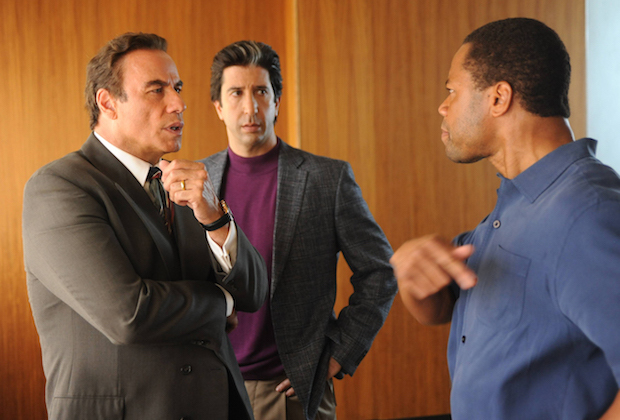 John Travolta stars as defense attorney Robert Shapiro in the new FX miniseries The People v. O.J. Simpson: American Crime Story. Travolta is also a producer on the series. David Kaye narrates the promotions for the miniseries. The series looks at the O.J. Simpson trial from the lawyer’s perspective and shows the behind-the-scene action during the trial. The miniseries also stars David Schwimmer, who plays Robert Kardashian, Cuba Gooding Jr, who portrays Simpson; and Sarah Paulson, who plays prosecutor Marcia Clark.